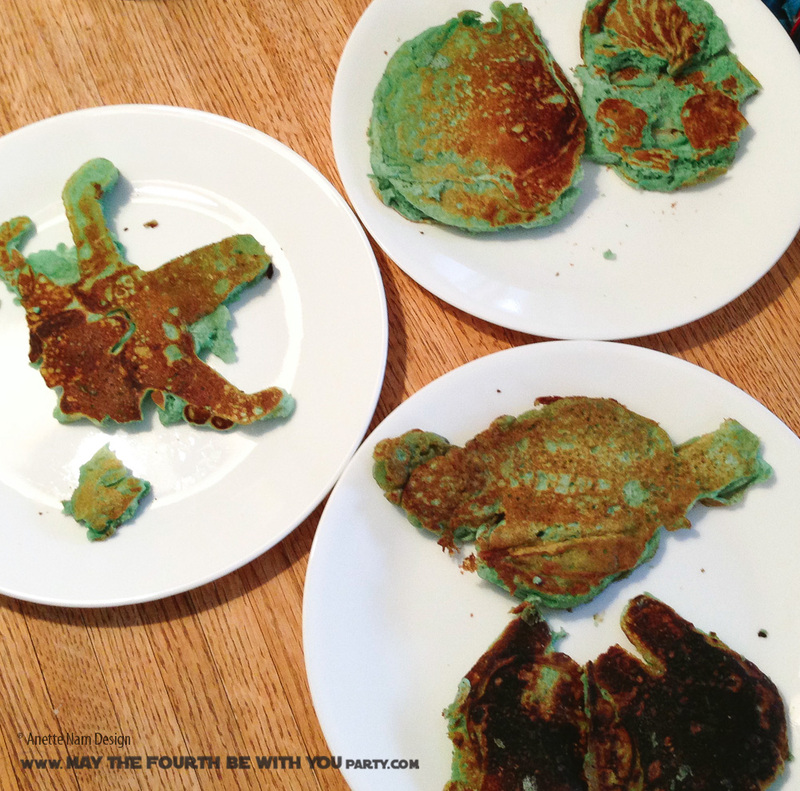 They sure did not look pretty, but what can be more fun than making Star Wars pancakes with Bantha milk? The kids had a snow day not too long ago. As a working parent it is both a treat to get to stay home with the kids on a weekday (sleep in, yeay!! ), and a scramble to juggle working from home with them around. This time around, fun won out. Upon the kids insistence, we made pancakes. 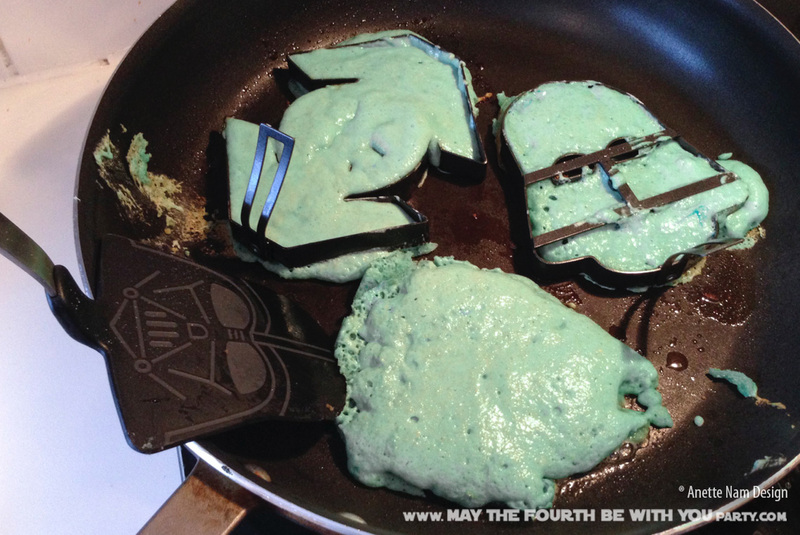 But not just any pancakes – we made Bantha milk pancakes. We have tried to use the Star Wars shapes before, and it didn’t work. And I have to admit, it didn’t go well this time either. They didn’t turn out very Star Wars-shaped. The color was more greenish than blue. 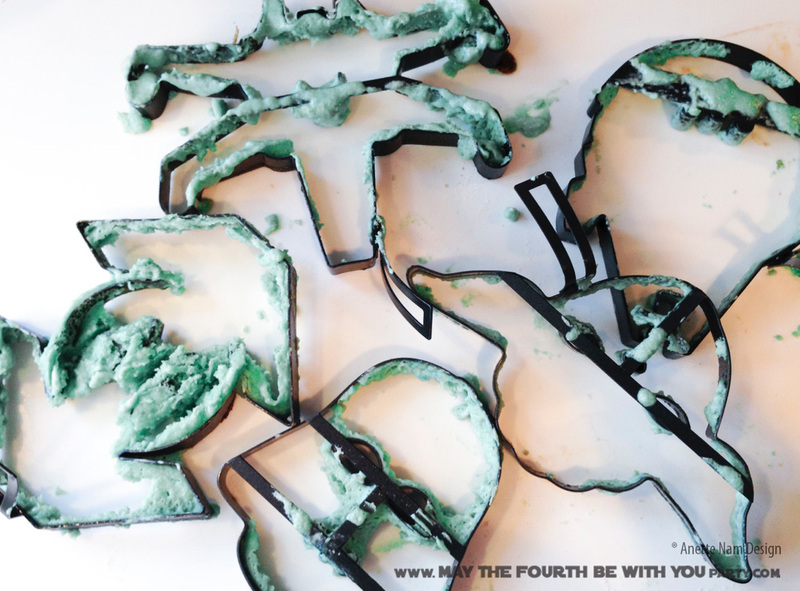 And trying to pry a Millennium Falcon out of its mold, I sorta burnt the others. But, you know what? They were made with love and lots of laughter and tasted GREAT, so I still call it a success! Milk your Bantha in the backyard. If you are short one Bantha, get the instructions on how to make some milk here. As far as the rest…I really don’t know. 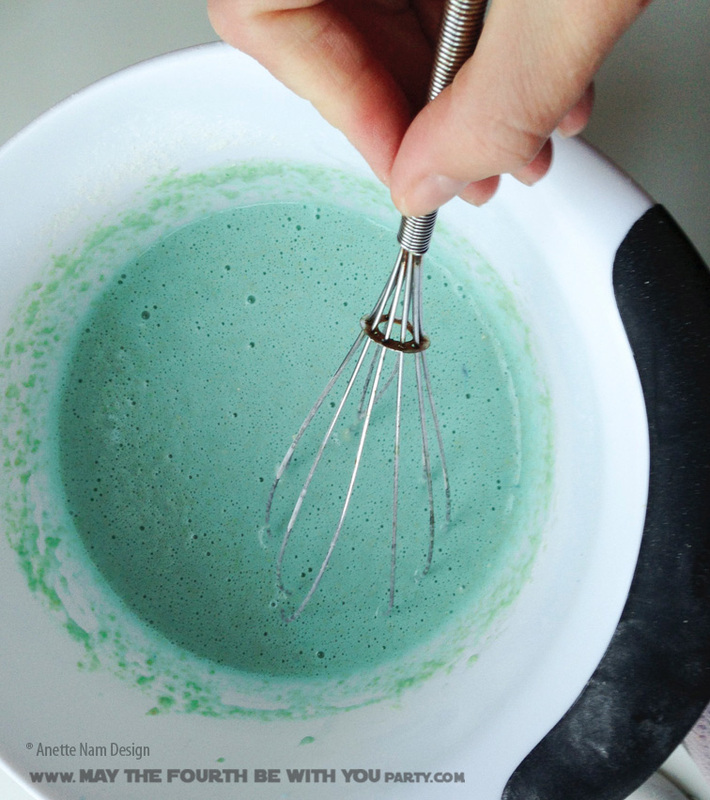 I have failed with these pancakes molds several times now. So why don’t you skip the molds, and learn from Pancake Master Jim: This guy knows how to make pancakes!